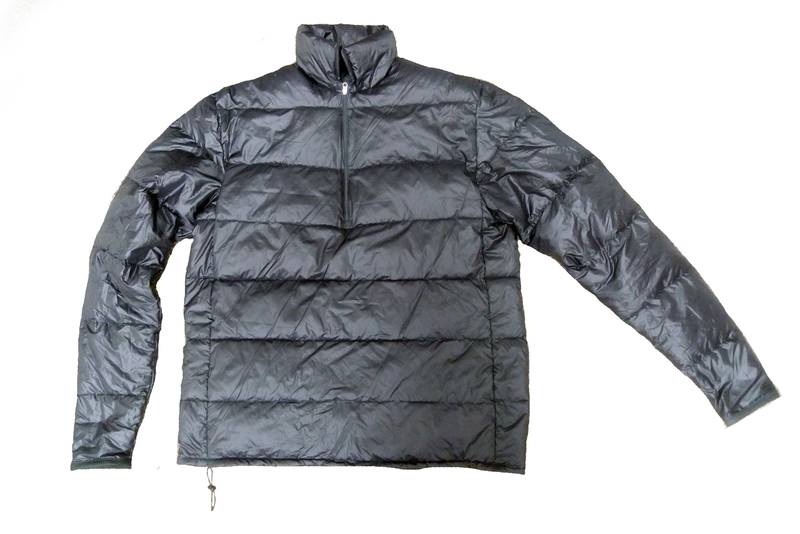 Our jacket weighs in at only 5.15oz in a size Medium, and packs down extremely small. With a fill weight of 2.3oz of 850+ water resistant down (size M), 44% of the total weight is down. This makes it much warmer than most jackets of a similar weight. It is constructed with lightweight 10D ripstop nylon Argon67, which has a DWR coating to repel water. The collar is down-filled. Length 27" 28" 28.5" 28.5"
Chest 36' 39" 42" 46"
Waist 28"-31" 31"-36" 36"-40" 40"-46"
Sleeve Length 22" 23" 23" 24"